Gillian is an associate lawyer at Langevin Morris Smith LLP. 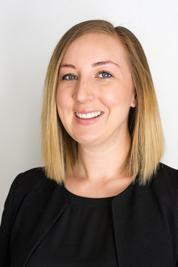 Gillian practices primarily in the areas of family law, criminal law, civil litigation, and real estate law. Gillian completed her articles with Langevin Morris Smith LLP, and was called to the Ontario bar in June 2017. Gillian is a graduate of the common law program at the University of Ottawa faculty of law. Prior to law school, Gillian studied history at the University of New Brunswick and obtained a Bachelor of Arts and Master of Arts in history. Gillian was called to the Nunavut Bar in August 2017. Gillian has relocated to Iqaluit to practice law in Nunavut on a permanent basis. Gillian is accessible to clients throughout the territory by telephone and email, to serve their legal needs. Gillian can be reached at (867) 979-5345 or gbourke@lmslawyers.com.